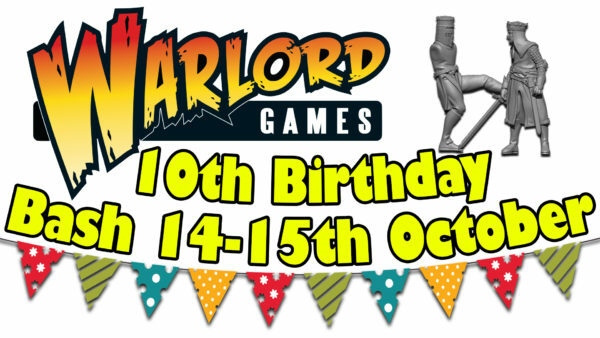 Warlord Games is turning 10 years old. *snifflesniffle* They grow up so fast. They're planning quite a party, too. You've probably seen the exclusive mini they're going to have at the show. But that's not the only cool thing they'll have going on. Lots of special guests. Lots of special events. A special painting competition. Want to get some more of the details? Read on.